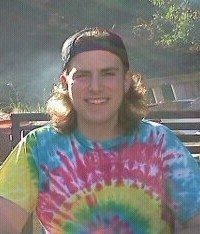 Kevin was turned on to the Grateful Dead last year by a co-worker, and after seeing Furthur in concert fell in love with the Dead’s music. He currently shares hosting duties for The Grateful Dead Hour and Backtracks on Sunday nights with Andrew Stauffer and Eric Wolff. Kevin enjoys sharing the love of improvisational rock music with as many people as possible, and is “deadicated” to keeping the Grateful Dead on the FM airwaves.